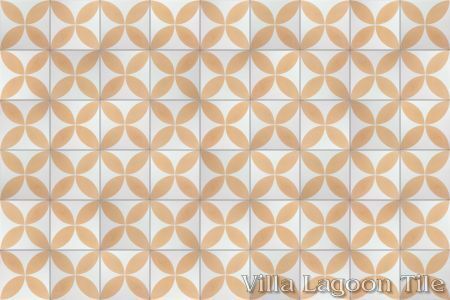 This is a 2-color 8" cement tile, using White and Custom Peach from the South Beach Palette. This arrangement of repeating circles is a long-standing tradition in cement tile and mosaics. We call this version "Circulos Four", as the four petals produce a larger scale than the more common sixteen-petal version. 50 square foot minimum order (small order charges may apply under 100 square feet). 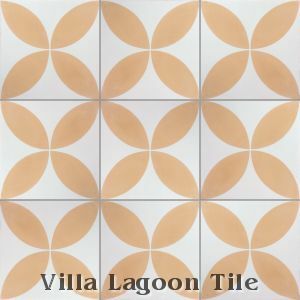 This production of "Circulos Four" has sold out, but will always be available as custom tile.